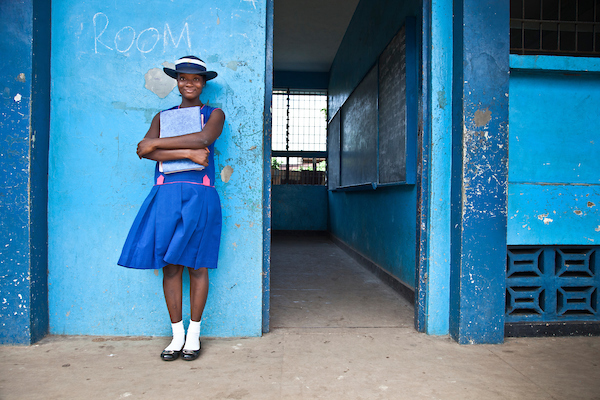 Girl Rising is a global campaign for girls’ education and empowerment. We use the power of storytelling to change the way the world sees and values girls. Together with partners, we launch high profile campaigns to bring visibility to the issues girls face and inspire people to dismantle the barriers that hold them back. Girl Rising has launched campaigns in India, Nigeria, The Democratic Republic of the Congo, and the United States, and we will expand our efforts to other places where our message is timely and where unleashing the full potential of girls will result in improved health, prosperity and stability for everyone. We do this by: creating and distributing powerful, catalytic content that raises the value of the girl, building diverse partnerships to increase the visibility and scale of our message, and to influence community, corporate and national leaders and providing immediate and tangible ways for people to take action. Since 2013, Girl Rising’s stories have reached millions of people around the world, inspiring thousands of girls and boys, parents and teachers, corporate leaders and government officials, to take action and lead change in their own communities.